Since the advent of touchscreen phones designers have had one persistent goal – how to make the screen take as much of the front panel as possible. Keyboards were the first to go, then the last few buttons, bezels started to shrink and even the earpiece had to go behind the screen on occassion. Only one thing remains – the camera. So whether it’s a wide notch like on the iPhone X or a narrow one like on the Essential phone, a lot of new phones have a notch of some kind. And seemingly everyone hates it. 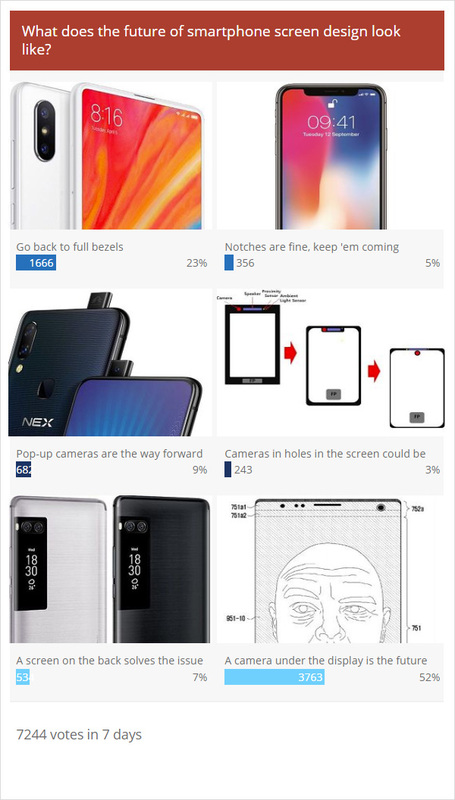 Our poll shows that people want phones to go back to full bezels. 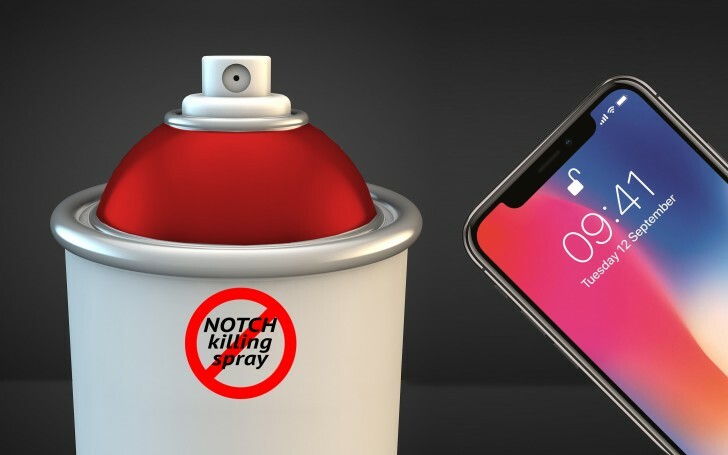 There’s a growing interest in pop-up cameras and some are even okay with a secondary screen on the back, but the consensus is that one way or another notches have to go. Unfortunately, the winning option in the poll is the most difficult to pull off from a technological standpoint. Yes, even more difficult than a motorized mechanism to push a camera up and down. Putting a camera under the display is going to be tricky. There are several comments that say it’s impossible, though it isn’t – optical fingerprint readers like the one on the Oppo Find X are essentially macro cameras and they do work. Admittedly, they are not burdened with things like focus and colors. But if transparent OLED screens are possible (and they are) then cameras behind a screen are possible. However, the substrate of an OLED panel probably doesn’t make for high quality optics for a camera and that’s the issue that engineers need to solve. So, it’s a question of “when”, not “if”.